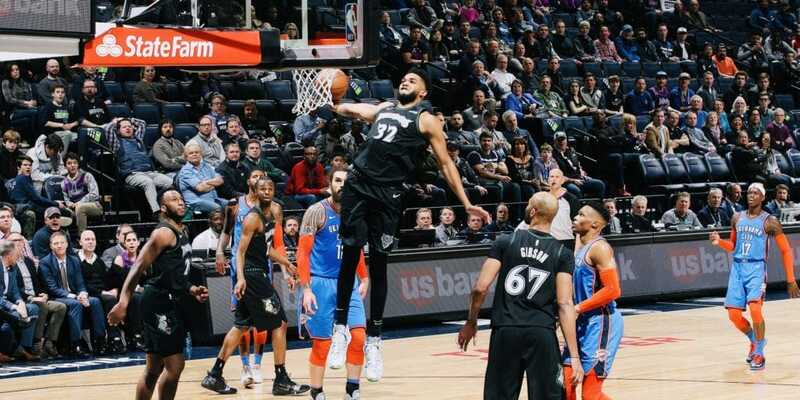 The Timberwolves rolled over to another victory over Oklahoma City, and Karl-Anthony Towns threw everything he had on thunder. These included a few select words for Russell Westbrook, who arrested both Towns and Dario Saric, the third quarter of a game that began to break away from him. Ryan Saunders had been head coach in the NBA for 24 games, but even he knew that was a bad idea. The fire in Westbrook is always burning, and the last thing anyone wants to do is raise the temperature an insane opponent who can turn a game alone, so Saunders asked Towns and Saric to bring it down, even as Westbrook she both cursed. "Get the damn playoffs before you talk to me," Westbrook barked.